Dreams are often called the gateway to the soul. 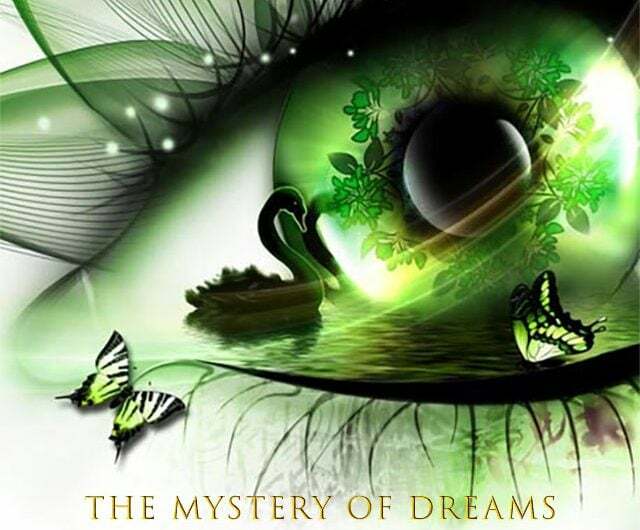 As strange as they may sometimes seem, dreams carry an important meaning; they are direct products of the subconscious, and thus reflect our deepest emotions. Lucid dreams, or dreams where a person is in a state of awareness, can tell us quite a lot about a person's life and the workings of their mind. This article presents dream facts to help understand what benefits can come from lucid dreaming, and how to make the most of them. We also take a look at interpreting dreams and why most of the statements we read about this are simply wrong. Dreams are reflections of the feelings we experience from the people and events in our lives, and the world around us. Most commonly, they represent our strongest fears and wishes. It is not always easy to trace the source, or understand the meaning of experiences that occur in dreams. Often, they reveal deep, forgotten emotions that are hidden far beneath the surface level of consciousness. As we age, our minds grow in experience and complexity, so the forces underlying our dreams also become more complex and difficult to understand. Tapping into this hidden layer of consciousness can bring clarity to questions people have about their lives. For instance, an analysis of your dreams may reveal feelings of affection or anger towards someone that you have tried to ignore, feelings that you have never been consciously aware of. Usually, people ignore these feelings because it is convenient for maintaining the status quo of daily life, and they don't let themselves realize how they really feel, putting up emotional barriers, but even though the emotions are being ignored, they still have an effect on thoughts and behavior and cause significant internal stress which can manifest through impatience, depression and irrational behavior. The subconscious is a powerful engine that you ignore at your peril! On a lighter note, it can be very enlightening to discover these emotions through lucid dreaming and then act on them, thus bringing harmony to our lives. Lucid dreams can also recall memories of past experiences that have been forgotten or suppressed. Often, these experiences have caused people pain or frustration the person has carried since the incident. This can have a profound negative effect on life. When a dream brings the incident to the surface, it can be processed and worked through, so a person can finally move on. There is a great deal of writing and literature that supposedly interprets the meaning of specific objects and symbols that may appear in dreams. For example, the appearance of elephants in a dream supposedly symbolizes triumphing over adversity. However, this is a false concept. There are no universal symbols in interpreting dreams. The meaning of any particular object or symbol depends entirely on the individual. To different people, an elephant can represent something entirely different, and thus its presence in a dream takes on a completely different meaning. At the same time, some situations frequently relate to certain emotions for many people. One common type of lucid dream dreaming is running away and being chased. For most people, this is indicative that a source of fear or anxiety in daily life is not being dealt with. The specific thing you are running from may suggest what that fear is related to, or it could mean nothing at all. It can be very difficult to interpret dreams accurately! The more time and effort you put into interpreting your dreams, the better you will get at it. Eventually, you will learn what certain symbols and situations mean for you, and how they connect to your real life. Most people are not always aware they are dreaming, and don't know How to have a lucid dream. These tips will make you more aware during your dreams to help you remember details. The habits people form with their actions during the day carry over into their sleep. If you spend your days in a state of agitation and restlessness, you will probably suffer from disturbed sleep. Conversely, relaxation and meditation during the day promotes a calmer, more soothing sleep cycle. You can use this to your advantage to become more aware in your sleep. Frequent meditation and mindfulness exercises will make your more aware during your dreams. By the same token, take a small reality check once every hour or two throughout the day. Ask yourself if you are awake or dreaming, and check the time. After repeating this exercise enough times, you will begin to perform it while dreaming. Upon waking up, the memory of your dreams will begin to dissipate rapidly. Within minutes, all details can be completely forgotten. In order keep the most accurate recording possible of your dreams, keep a journal at your bedside. When you wake up, write down your dream right away, noting as many details as are still fresh in your memory. You can also use a voice recorder, or your phone, and make an audio record of the dream. You can use a mnemonic technique to make your dreams more lucid. Before going to sleep at night, repeat the phrase "I will be aware of my dream" several times. You can even fall asleep while gently repeating it. Learning lucid dreaming, and interpret meaning from your lucid dreams is a good way to reflect on one's life and see what is going on beneath the surface. It is a great way to keep your present experience connected with your true emotions.